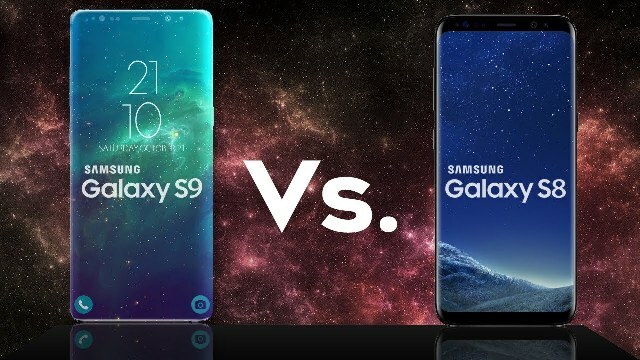 Home smartphone Technology Galaxy S9 vs. Galaxy S8: Which Samsung smartphone to choose? At first glance, nothing differentiates a Galaxy S9 from a Galaxy S8. Samsung has decided not to change a winning team. The design is exactly the same as that of its predecessor: a beautiful 5.8-inch Infinite Display (6.2 for +) with a resolution of 1440 x 2960. Should we be tempted by Samsung's new flagship store? Review of the technical characteristics. "The camera reinvented". Samsung's communication on the Galaxy S9 leaves no doubt: the great innovation of the flagship is its new camera . The latter is equipped with a sensor that automatically adapts to ambient light: f / 1.5 in low light to f / 2.4 in full sun. That of the S9 + is also offered a double sensor for better depth. The Super Slow Motion option is also appearing. It allows to film in slow motion automatically when a movement is done in the frame. The Korean company has updated its home processor housed in the European versions of the smartphone. The Exynos 8895 makes way for the Exynos 9810 , faster and more powerful. No novelty to note at this level. The S9, like the S8, is equipped with a non-removable 3000 mAh battery and 64 GB of storage , expandable up to 256 GB via a microSD card. IP68 certification (water and dust resistance), wireless charging, fingerprint reader, facial recognition ... Both Samsung smartphones have similar features. The Galaxy S9, however, does not land empty handed. The new camera comes with an AR Emoji mode that allows you to create a self emoji that can be used in photo or gif. The Korean answer to Animojis from Apple's iPhone X. Side accessories, Samsung now offers a new version of its DeX to turn his smartphone into a computer, cheaper and more effective. This one is compatible with the two Korean flagships. The Galaxy S9 has a slightly higher price on its release than its predecessor: 859 $ against 809 $ for the Galaxy S8. Add 100 USD to offer you the + version. If the Galaxy S8 marked a real break in the range, the Galaxy S9 offers only a few improvements. If you bought the Samsung smartphone last year, little reason to change. On the other hand, if your phone starts dating a bit, you are looking for the best and you like to take quality pictures, the Galaxy S9 is for you.